The first meal we had in Stockholm – no, not at Ikea – was Swedish meatballs with mashed potatoes and lingonberries. The second was Max at T-Centralen. 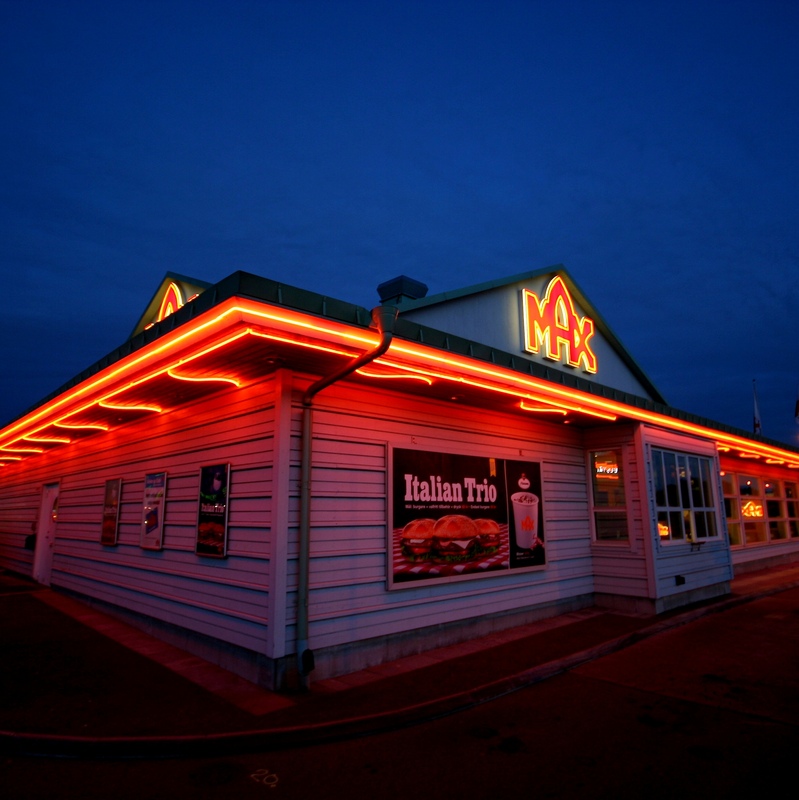 Founded in Northern Sweden in the late 1960s, Max is Sweden’s answer to McDonald’s. The name even sounds suspiciously similar. The chain hasn’t spread much beyond Sweden, with only a few token outposts in neighboring Norway and Denmark and in the United Arab Emirates. But within Sweden, Max’s popularity has only grown. It is supposedly better liked than either McDonald’s or Burger King. 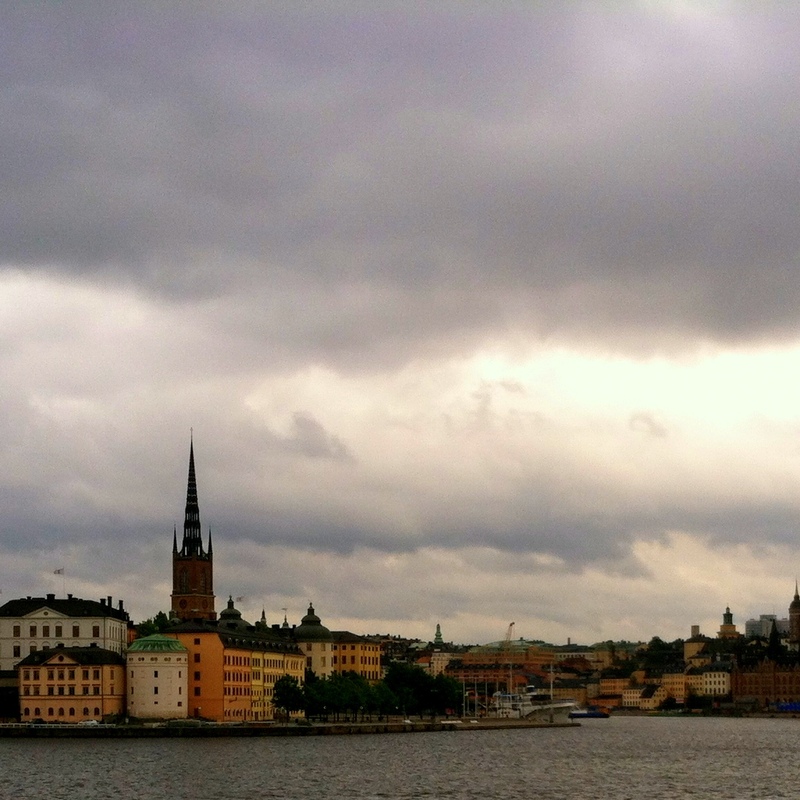 (It does, after all, feature “Sveriges godaste hamburgare” – Sweden’s tastiest hamburger.) And, at least in the north of the country, the chain outcompetes its American competitors – apparently a world first. Max’s advertising often relies on Swedish themes – even Vikings dreamed of its Grand de Lux BBQ – and its restaurants play music from Swedish musicians (mercifully sans ABBA, so far as I could tell). Its burger’s taste, too, is unique: spiced and texturally distinct from an American fast food burger, almost sausage patty-like in its taste profile. Jalapeños appear to be a popular garnish. It’s a popular rest stop after a night of heavy drinking under midsummer’s near-midnight sun. But Max does have one thing in common with its American fast-food counterparts: you eat its burgers with your hands. 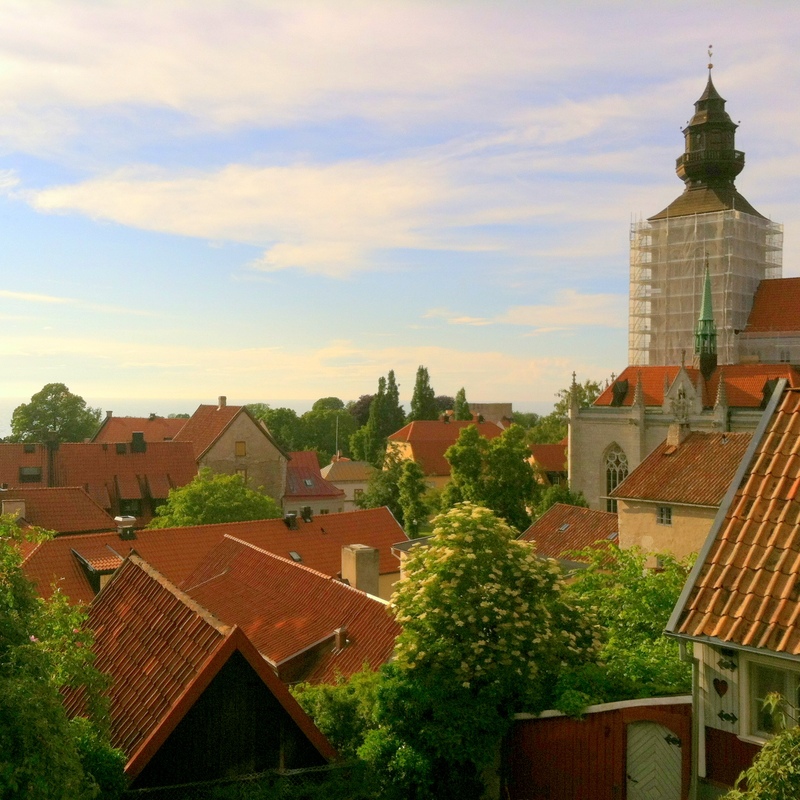 A couple days later, we were in Visby, a sun-drenched walled city floating like a hazy medieval dreamscape in the Baltic Sea. Swedes gather here each midsummer for their annual political bacchanal – a week of mingling and seminars and soapboxing in the park. At a Tex-Mex-inspired restaurant tucked in the warren of alleyways of the old city center, we were two Americans devouring sliders. (The sliders had come well recommended by our Swedish hosts.) Done eating, our hands and napkins a mess of Chorizo mayonnaise, we noticed the Swedes eating their sliders more slowly, more deliberately – with a knife and a fork. Two days later at Kallis – Visby’s answer to Ibiza or Miami, with wide sofas framed by palm trees swaying to Tina Turner by day and Gaga by night – we were two Americans eating a typically Scandinavian sandwich of buttered toast, mayonnaise, prawns, hard-boiled egg, avocado, and dill amid a mob of Swedes nonchalantly taking silverware to their hamburgers like chisels to marble. And, on the eve of American Independence Day, at Marcus Samuelsson’s American Table in central Stockholm, a worldly-looking Swedish gentleman sipped champagne as he untypically sculpted his typical American hamburger from whole patty to obsolescence. The rule, it turns out, is that, at bars and restaurants, it is proper to eat one’s hamburger with a fork and knife. At a fast-food establishment – at Max just as at its American counterparts – the hands are satisfactory, though I did spy an older man struggling to carve apart his Big Mac with a plastic fork and a plastic knife. To be frank: I don’t get it. To my mind, the bread on both sides of the burger indicates the sandwich is to be eaten with the hands. Then again, in some cultures, burping is respectful; in others, farting is complimentary; and, in still others, Taco Bell is good eating. More than just the food, it seems, even the way we dine is a matter of taste. As a person with Celiac disease, “bread on both sides of a burger” is poison not to be eaten. Actually using a knife and fork to eat is not only more civilized, but a life saving measure. I have had to eat MacDonald’s burgers while traveling on the road by deftly peeling back the bun and grasping the meat with my teeth and pulling it out from the bun one bite at a time. Not elegant eating technique, but my intestines are not ravaged by the gluten poisoning in the bun. Just sayin’.